This is Bensie’s second memoir after writing Shorn. In this book he continues his life story, and after reading the first book, this one is less sad and very inspiring. But it is still a riveting and poignant attempt at explaining his life to the reader in the most vivid detail. Grab some tissues and a nice big carafe of warm coffee because you will need it. 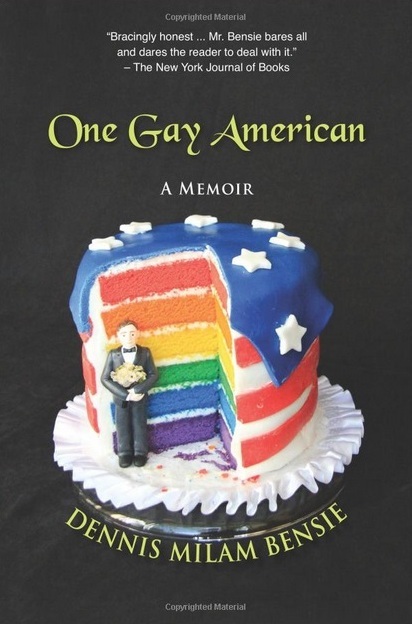 In this book, Dennis talks about the Gay Rights Movement and how things improved for gay males. It wasn’t always like that though. When he was growing up in small-town America, gays were not accepted. In fact, things got pretty difficult and even dangerous at times. And Dennis lived through these times trying to do his best to be the person he was and being true to himself as much as he can. The ridicule and prejudice does hurt one’s self-esteem over time. But it’s so great to read about how Dennis finally became emancipated without worrying about what others thought any longer. There have been great changes in the gay community. A lot of positive things happened and there is much more acceptance now than ever before. Dennis provides the raw details of what it was before the Gay right’s movement, and how life for gays really was. Dennis is a wonderful writer, one that will transport all readers to another dimension of reality, one that was very cruel and harsh to gays. Thank you Dennis for such a wonderful book!